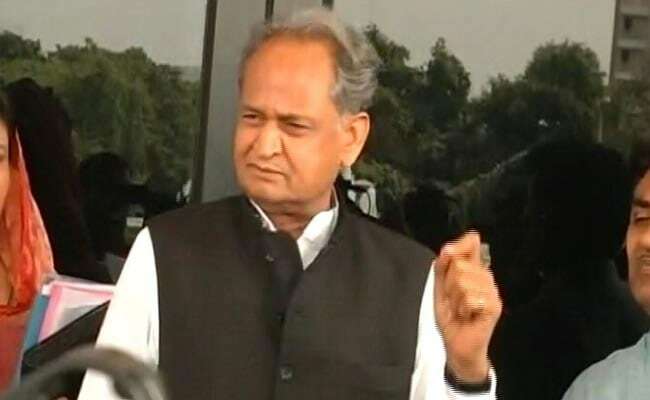 Ashok Gehlot was referring to the strike by the Rajasthan State Road Transport Corporation (RSRTC) employees and Tuesday's inauguration of Dravyavati River Rejuvenation Project by Vasundhara Raje. Senior Congress leader Ashok Gehlot on Wednesday said Rajasthan Chief Minister Vasundhara Raje has lost the moral authority to rule as there is resentment against her among all sections of society. He said government employees are on strike for several days but Ms Raje is not bothered and is instead busy hurriedly dedicating incomplete projects to the public. Mr Gehlot was referring to the strike by the Rajasthan State Road Transport Corporation (RSRTC) employees and Tuesday's inauguration of Dravyavati River Rejuvenation Project by Ms Raje. "She (Raje) is afraid and not able to face the people. She is getting people arrested for showing her black flags. How can she rule when she cannot even face the people? She has lost the moral authority to rule," he told reporters. The former chief minister said resistance among people during Raje's 'Gaurav Yatra' showed that it will turn into her 'Vidai Yatra' (departure yatra). The resistance led to Ms Raje using helicopters during her yatra instead of a bus, as was originally planned, he added. "People gave her a huge mandate in the last elections but she betrayed them and remained inaccessible. She used to visit Jaipur as a tourist and all those things are still fresh in the minds of people," Mr Gehlot said. Ms Raje is looking at Prime Minister Narendra Modi for help, but he will have no impact this time, he said. The term of the Rajasthan assembly will end on January 20, 2019, and elections are due by the year-end.